Generally when we talk about Doogee handsets we associate them either with rugged smartphone or with low-costing devices. To prove this statement I can mention a few smartphones from the first group and a couple from the latter. Probably, you remember the Doogee T5, which is known as one of the most rugged handsets in the globe. And at last, there is a special line for cheap handsets – the X series smartphones are quite affordable and sport decent specs list. This line includes the Doogee X5 / X5S / X5 Pro / X5 Max / X5 Max Pro, and Doogee X6. All these devices are priced very low, and what’s amazing they provide the way better specs list than other handsets from the same price category. Well, seems I have convinced you Doogee smartphones are cheap, and this their main selling point, but what about the Y line handsets? Though we reviewed only a few devices from this series such as the Y100 Plus, Y200, and Y300, it’s clear Y line devices are affordable, but they also look elegant and sport high-end features. 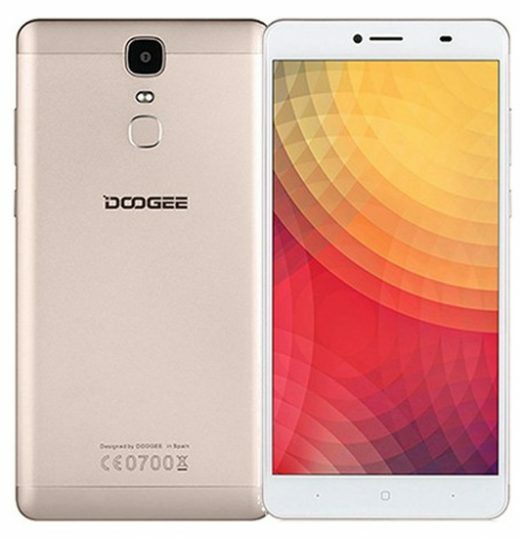 Fortunately, this line has been refreshed quite recently when Doogee announced four new outstanding smartphones at the Global Sources Electronics Fair 2016. Those models were the Doogee Y6, Y6C, Y6 Max and the Doogee Y6 Max 3D. 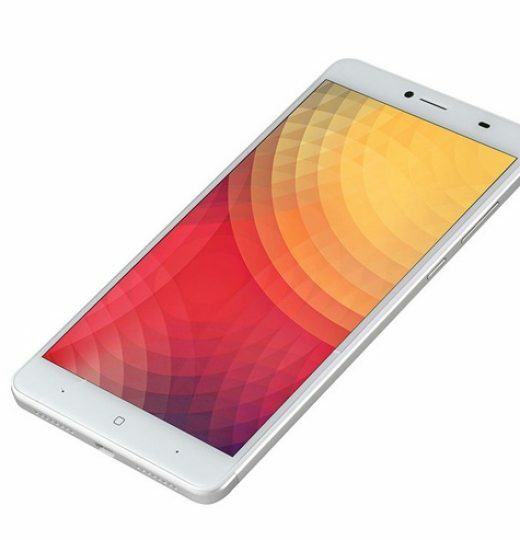 The former one is designed especially for selfie-lovers, and it competes with the iNew Pandora R9 and Oppo R9S. The Doogee Y6C is a low-end smartphone, and it’s untimely to talk about this handset in this article. And finally, the Doogee Y6 Max is what we are here. More precisely, we want to look at its 3D version. The original Doogee Y6 Max and the Doogee Y6 Max 3D don’t differ from each other. The only feature that makes the latter to be head higher, is its ability to provide glass-free 3D video on its big screen. Thus we are dealing with a 3D supporting smartphone, which also costs too less – only $149.99. Agree this is a great deal, which allows you to have your own 3D home theater in your pocket. Of course, this is not the first 3D glass-free smartphone available in the market, but I guess it’s the first one with such a pricing. So let’s look what other features it comes with to understand whether the 3D support affected the whole specs list or not. 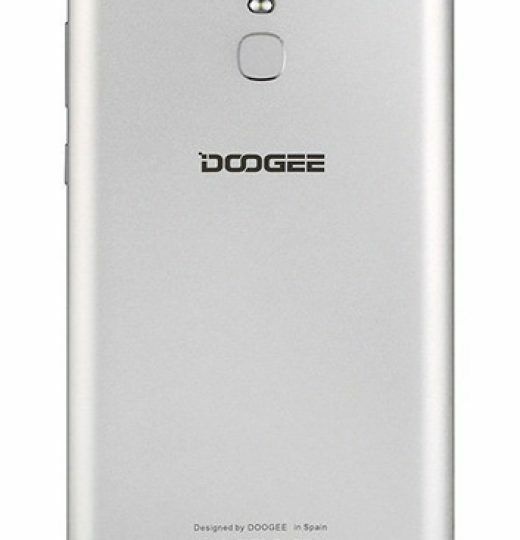 Those who are familiar with the original Doogee Y6 claim the Doogee Y6 Max 3D comes at the same design, though everything has got bigger and larger. Looking at the photos below where the Doogee Y6 is put next to Y6 Max 3D, we can see the latter looks identical to its sibling. But the increased sizes make an experience of narrower screen frames and lower body thickness. The giant metal housing looks incredibly stylish and brutal. And despite the dimensions of 173 x 89 x 9 mm, the Doogee Y6 Max 3D is quite ergonomic due to thickness and rounded corners. The front panel carries the screen, front camera, speaker, standard set of sensors, and three touch buttons under the screen. Thus there is no capacitive buttons on the front that is the first attractive feature of this phone. The back panel carries a rear camera accompanied with dual-flash, and a fingerprint scanner for more secure operations. The volume rocker and the power button are located on the right side, while the micro SD card slot is on the left. Finally, the bottom side comes with two speakers and a micro USB port between them, while the top side carries only a 3.5mm audio jack. Now as for the screen, the Doogee Y6 Max 3D sports a 6.5-inch Full HD AU Optronics G+FF display which is also a 3D cylindrical grating LCD screen. Thus you can see two different screens at once. The GFF (Glass-Film-Film) technology is ideal for those who want the same GG screen but require an overall thinner and lighter display. Well, the Doogee Y6 Max 3D weighs 253 grams, which is regular for a phablet with such dimensions, and it is available in two colors – gold and silver. If there is a Full HD screen with 3D capabilities, there also should be a powerful processor paired with large memory. The Doogee Y6 Max 3D is not the most powerful smartphone in the globe, obviously. But it still provides good displaying performance due to MediaTek MTK6750T CPU, which is in a great tandem with a Mali T860-MP2 GPU running at 650MHz, a 3GB of RAM and 32GB of ROM. The latter can be expanded via a micro SD card slot. I guess this will be very useful, because if you want to watch 3D movies on your phone, you should have more free space, as 3D videos come at large sizes. As I said, there are two cameras on the front and back. The front camera comes at 5MP, which is good for video calls, but I think you won’t be satisfied with the selfies captured by it. Say, it can’t be compared with the Y6’s 8MP camera with special flash to take great selfies. Anyway, the rear camera comes at 13MP and dual-LED flash, which means you won’t face any problems when taking photos in dark or low-light conditions. The Doogee Y6 Max is a phablet, therefore it should come with a 4000+mAh battery. Fortunately, the manufacturer doesn’t save here and packed it with a 4300mAh battery that is capable of providing up to 8-10 hours of heavy usage. 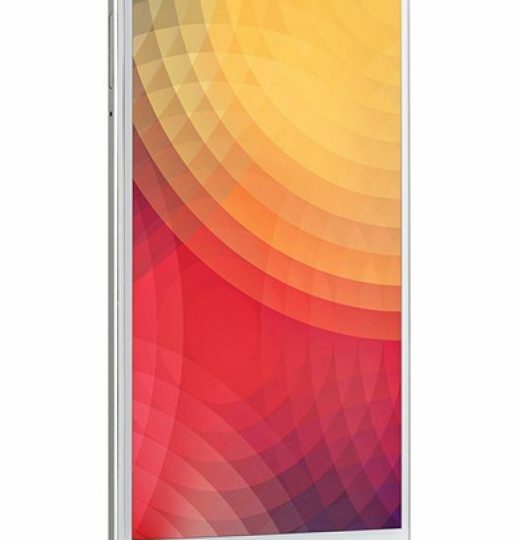 As for software and connectivity, this device runs on Android 6.0 Marshmallow and its custom-made UI for smooth navigation. It also supports 4G LTE, which is active at two SIM card slots. Plus the USB 2.0 port on the bottom supports OTG. Unlike the Doogee Y6 that is priced at around $130 and the Doogee Y6C, which is available for $100 the Doogee Y6 Max 3D costs $150. It’s clear that 3D screen doesn’t matter for many people, that’s why the manufacturer decided to launch two versions of the same phone. And what’s amazing both devices are priced identically. Thus you can buy the 3D version of the Doogee Y6 Max at the same pricing as the original model. 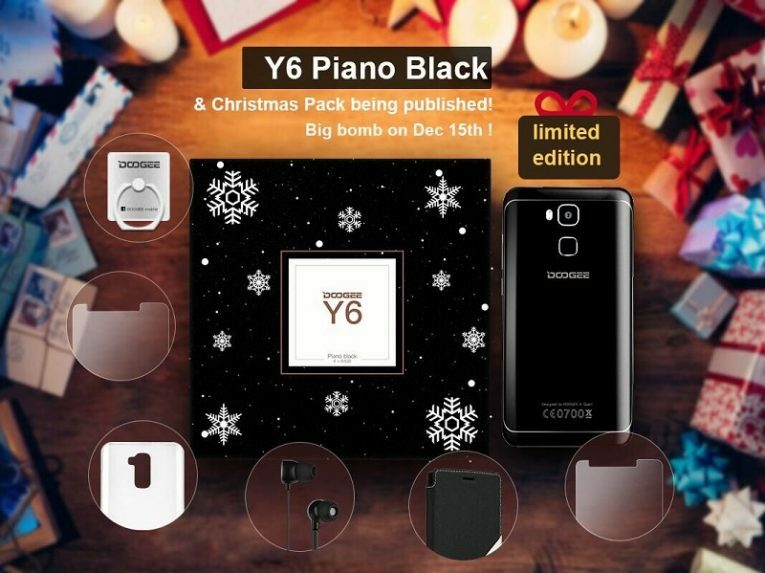 Doogee Christmas Offers: Doogee Shoot 1 and other smartphones hugely discounted! Can you take a photo with the rear camera and post it here? Thanks.